I want to share Karen’s story with you today because you may be one of those people, like Karen, who had lost hope and was frustrated with her attempts at weight loss, getting fit, and having a body that just plain worked and looked better. 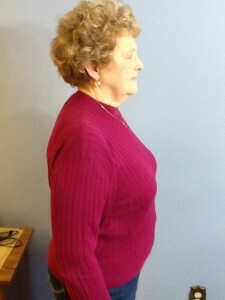 Karen is now approaching her 20-lb weight loss mark and is down 2 pants sizes. 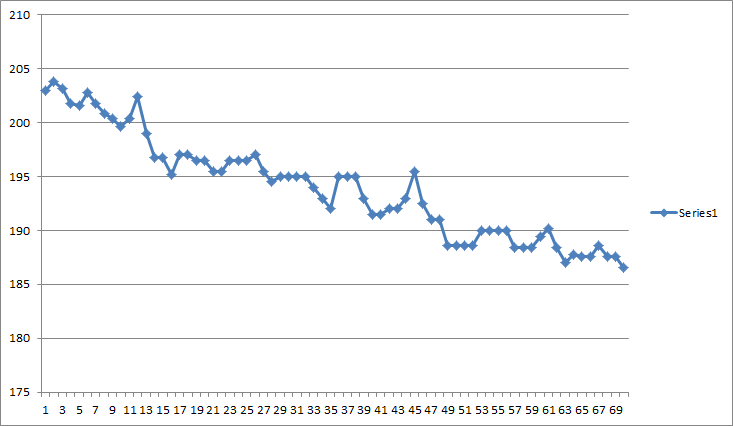 She’s also made some dramatic changes in her lipid profile; see graph below. Yet most importantly, she is infused with enthusiasm and hope that she thought were gone forever. Making clear plans, working through the fine details, and being honest and present with each step of the process and acknowledging the 3 Pillars has brought Karen deep and rich rewards. Here is a peek into Karen’s story, told through her unedited answers to a questionnaire I sent to her for evaluation at the two-month mark of our work together, a good time to reflect and acknowledge all the wins. Q. What were your challenges or frustrations that you were looking for assistance with? 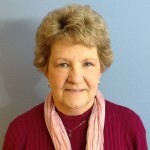 Karen: My challenges or frustrations have been with finding a plan that works as a complete lifestyle change and finding someone who understand my lifestyle to walk with me on this journey. Sometimes listening to the difficulties that others express at weight loss meetings did not resonate with mine. I travel 3 times a year to Africa and needed a program that would ebb and flow with my travel as well as work with the available food in both settings. I also felt embarrassed that as a professional myself with degrees behind my name I still could not reach my weight loss goals. I asked, how could I have studied hard and gotten a PhD, but don’t have what it takes to get rid of weight, and gain a healthy eating pattern and lifestyle. After spending some time discovering the weight loss and health benefits of eating low fat and plant based, I knew I needed guidance in making this change and I didn’t find it to the extent that I needed in websites and articles. I needed a coach. Q 4) What specific changes have you experienced since getting started? Include specific measureables such as weight, and think also about energy, movement and getting around. Karen: I have had many measurable changes. 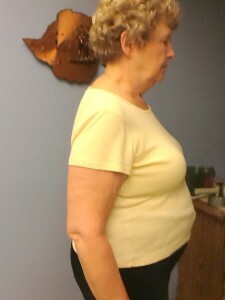 I have lost weight about 17-19 pounds since we started in late August. I don’t need to snack often – and if it is because I am hungry – then I can eat the right foods. I am wearing slacks that are 2 size smaller. The big midsection has shrunk and you can see it in pictures. Maybe best of all – I have had incredible changes in my lipid panel that made my doctor very happy. Q 4) From there, what changes have you experienced with eating and food planning, degree of comfort with learning new ways of eating and exercise? I now eat almost 100% low fat and plant based – with a few planned exceptions for holiday or special occasion. Planned and then immediate routine to my new regular way of eating. I have to plan ahead to have the right food in the house, to have meals and foods ready when I am truly hungry so that I am not tempted to eat choices that might not be the best. I have to plan ahead at work to have the right food available there. The world out there is not really ready for people who eat like I do. I find eating this way satisfying and I have no need to eat when I am not hungry for real food. The hardest part is eating out with friends and family. Thankfully, my family will look for places to eat that are maybe vegetarian or vegan – but most choices are still not as low in fat as I would choose at home. I try to make the best choices and focus on the good times of being with friends and family and not on food. I have found eating some good food before I go, means I don’t really need so much food when I am out anyway. Exercise is still my last frontier to conquer. I know because the other areas have come a long way that this will too. It is the hardiest area both mentally and in reality of my life’s irregular schedule. Q 5) What have been the best changes for you? Karen: the successes of weight loss, figure changes, having more energy, feeling healthy, and knowing that my lipid panel is looking so much better. Q 6) What strategies have you found most helpful? Planning, sometimes this takes the form of journaling and goal setting as well as having the right things around. Reading, studying and even listening to the Boot Camp Mind materials – filling my mind with the right thinking about where I have come from and where I am going. Knowing it has good research behind the changes I am making. Getting the support of husband and family. Focusing on my successes and not the failures to be perfect. Tracking weight, taking pictures, looking a lipid panel results. Success builds more success and keeps me on track. It was hard to wait for the first signs of success – but when you get there – I “feast” on the small successes because I know I want more. Remembering my vision and ultimate goal. Lani had me create a vision statement and I think of that to stay on track. 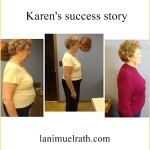 Karen has demonstrated that we can make changes for the better and improve our bodies, our health and our lives. I’ve had the privilege of working with Karen via the Fast Start program. You can read the complete transcript of Karen’s interview on the Fast Start page. This is such an inspiration and thank you Karen for telling so much about your story. I love the graphs and the lists – easy to read and full of details. Congratulatios on your work, and thank you again! I know that Karen will be thrilled to read your comments. It takes a lot to just put it all out there as she has and your support is not unnoticed. Thank you Karen and Lani. It was just the article I needed to read as I composed my own body goals for this year. Most of all I loved the weight chart as it clearly and honestly demonstrated to me that weight loss isn’t perfect every week; unlike the ‘airbrushed’ stories that are so prevalent on other weight loss and healthy eating sites. This made your story so real Karen. Thank you and congratulations on your progress on your journey to a healthier life! Caroline, thanks so much for sharing from your experience. Inspiration can spread like wildfire and I have no doubt you’ve also inspired another person today! All the best to you moving forward! Karen, You are in inspiration! I just turned “60” this past year and need to get serious about getting back on a Vegan plan. I went through a program 12 years ago, but caved in. Have been off, partially off and on for too long. Now, having major stomach issues, along with my doctor thinking I have the start of Celiac disease. Can’t continue to keep having regular colonoscopies and endoscopies, with ulcers etc. You have made me realize I can do this. Thanks for sharing. Karen is busy at work in Africa now but I am going to be SURE that she sees your message. Thank you everyone for your lovely comments. Yes, I am very busy in Uganda at the moment. It take a good deal of planning with my busy schedule to fix meals. I make things in good sized quantities when I make it and freeze it is small amounts. Then I have days of just pulling my frozen rice and frozen main dish and add veggies and fruit to my meal. I love it when I get four or five pots of something frozen. Made soup from small white beans, with every veggie I could think of, sweet potato, vegan bouillon cubes, tomato, chopped up apple and onion. Had that for lunch. Made my version of chili and instead of meat put in carrots and peas. That was my supper. I also just like beans with tomatoes and onions on rice – that is very Ugandan along with greens. I of course leave out all oil when I make it at home. Mangoes, passion fruit and pineapple are fruits I can enjoy hear that we do not have at home. There she is – the woman of the hour! It’s no easy thing to share it all as you have, Karen, yet we are all so grateful to you for doing so. You’ve gotten more than one soul back on the wagon by telling your adventure. Good to see you-you look great!! Isn’t this a feel-good way to eat? I love my new energy, better sleep and so many other benefits. Thanks for telling your story. That’s the spirit Cindy! Oatmeal and berries totally rocks. And I’m so glad you like the Plant-Based Blueprint – may your book arrive quickly, you’re on a roll! I need some help. 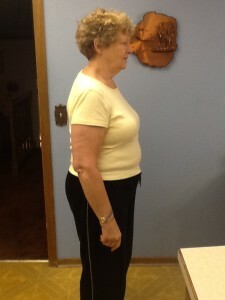 I’m almost 57, I’m 5’5″ and now weight 180. I have never weight this much in my life. I feel fat and horrible.. I try to follow Dr. McDougall’s plan but I find myself getting side tracked with things I like to eat that are not on the plan and knowing who to put meals together. when this happens I fall into the circle of guilt,depression, self hate and feel like giving up. I need to get this weigt off so I can feel better and get off some meds. I guess what I would like to know is how does a person get motivated and keep it going? How can I make myself disciplined? It my sound silly and easy to some people but I don’t know how to get it going. It doesn’t sound silly to me at all. Getting going – and staying on a forward path – is the first concern for change. After 30 years of struggling with weight and being at war with food, eating, and my body – and the struggles to which you refer, breakthrough came for me when I implemented what I call the 3 pillars – the food, the exercise, and the all-important mastery of mindset. THAT is what the Fit Quickies book is all about. It’s about fundamental change from within that you can leverage the tools of healthy diet and reasonable exercise with. An entire chapter is devoted to mindset mastery, and along with the 14 Fit Quickies is the Willpower Workout, which I like to call the 15th Fit Quickie. while you wait for your book to arrive – in that chapter I tell the story of my struggle, which I go into in more depth in the rest of the book – and how I transformed from the problem to success. You can also get the gift of the Plant-Based Blueprint to help you with tons of meal ideas. HDL portion of the Cholesterol decreasing? Karen’s went from 40 to 31. Thanks for your comments. When total cholesterol drops, so do all the elements of the total: HDL, LDL, and overall numbers. I’m glad you brought this up because many people overlook this fact and it explains a lot.